Cancer cells that lack the Schlafen 11 gene frequently develop resistance to commonly used DNA-damaging (DDA) chemotherapeutic drugs, but recent research suggests that this resistance may be reversible. The Schlafen 11 (SLFN11) gene encodes a protein inhibitor of DNA replication that promotes cell death in response to DNA damage. It is the dominant determinant of sensitivity to DNA-damaging anticancer drugs and acts by mediating cell death in response to DNA damage. Earlier studies on SLFN11 in mice showed that the protein interfered with the replication of HIV in infected human cells by blocking the synthesis of viral proteins without suppressing the host cell's overall ability to synthesize proteins. 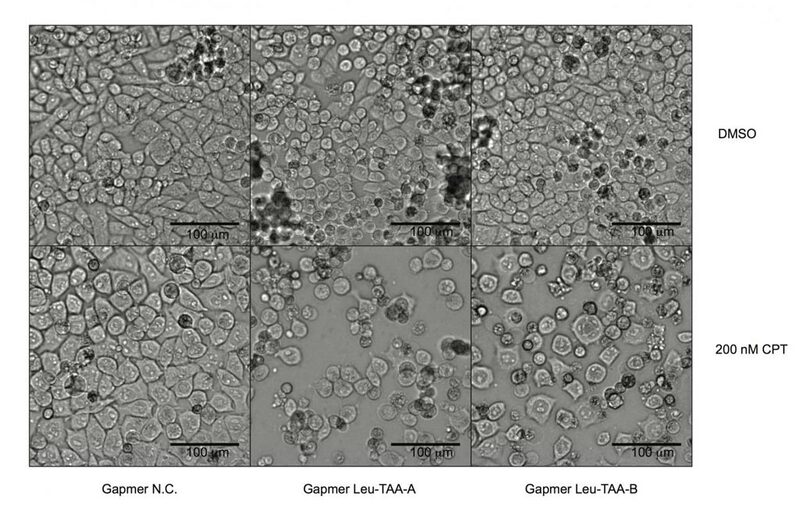 Image: Pancreatic cancer cells deficient in the expression of the human gene known as Schlafen 11 and resistant to chemotherapy (left panels) were re-sensitized to chemotherapeutic treatment (middle and right panels) by inhibiting the expression of the transfer RNA known as tRNA-Leu-TAA through specially designed antisense oligonucleotides (Photo courtesy of Manqing Li, Michael David Laboratory, University of California, San Diego). Investigators at the University of California, San Diego (USA) examined the link between SLFN11 expression and cancer cell DDA resistance. They reported in the October 29, 2018, online edition of the journal Nature Structural and Molecular Biology that upon DDA treatment SLFN11 preferentially inhibited translation of the serine/threonine kinases ATR (ataxia telangiectasia and Rad3-related protein) and ATM (ATM serine/threonine kinase). ATM and ATR are known for their central roles in DNA damage repair. Therefore, cells lacking SLFN11 activity would retain ATR and ATM activity, be able to repair DNA damage, and be resistant to DDA treatment. 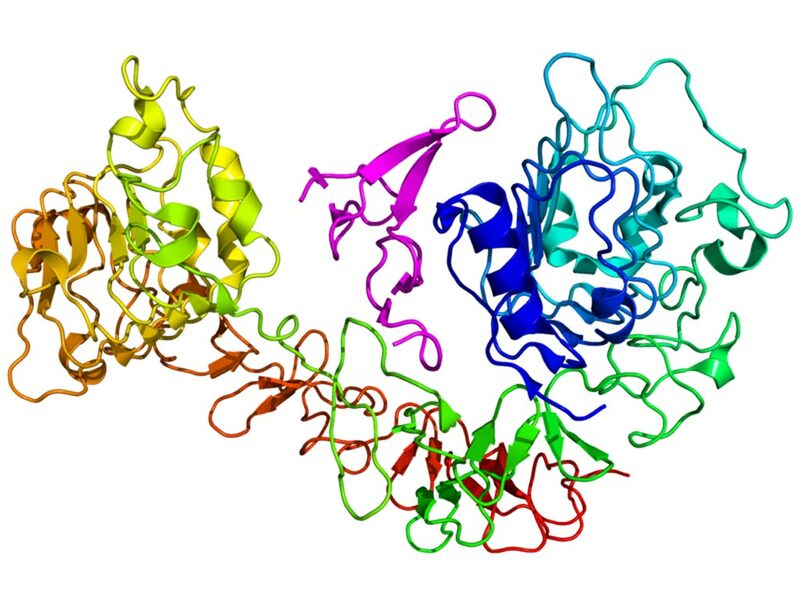 The investigators found that activated Schlafen 11 protein cleaved a specific subset of transfer RNAs (tRNA-Leu-TAA), which feature an extra stem loop in their structures. Among the tRNAs affected are all those for the amino acids leucine and serine. When tRNA-Leu-TAA is destroyed by cleavage, ATM and ATR become the most susceptible targets of protein synthesis inhibition by Schlafen 11. Deliberate reduction of tRNA-Leu-TAA levels was shown to be sufficient to abolish ATR protein expression and restore the DDA sensitivity of SLFN11-deficient cells. This finding supported the notion that SLFN11-deficient tumor cells could be re-sensitized to DDAs by targeting ATR or tRNA-Leu-TAA. "We found that if you expose cells that have Schlafen 11 to DNA damaging agents, the Schlafen 11 protein gets activated and suppresses the synthesis of ATM and ATR—that is essentially what kills the tumor cells," said senior author Dr. Michael David, professor of molecular biology at the University of California, San Diego. "In cells that do not express Schlafen 11, you do not get this downregulation of ATM/ATR and that essentially allows the tumor cells to survive. These results carry potential applications in immunology and virology since the fundamental mechanisms behind Schlafen 11 are also at play in anti-HIV processes and likely with other viruses."